Rockstar Games’ Agent has mercifully come to an end after eleven awkwardly public years of development and speculation. Never heard of it? Vaguely remember the name? Don’t care at all? Either way, you’ve come to the right place as to learn more about the project’s history. Get ready for an adventure in triple-A vapourware, brought to you by the most famous game developer in the world. Weeks after Sony’s E3 conference on July 11, 2007, without a title or description of any kind, then-Director of 3rd Party Relations at Sony Computer Entertainment America (SCEA) Michael Shorrock announced Agent – or, what would eventually be known as Agent – on Spike TV’s Game Head (later known as GameTrailers TV or GT.TV) as a “new franchise from Rockstar Games that will be exclusive to the PlayStation 3”. It would be an exclusive title for the PlayStation 3. Keeping up? I know it’s a lot to take in. Almost two years later at E3 2009, during the Sony press conference, then-SCEA CEO Jack Tretton formally announced this mystery game as Agent, developed specifically by Rockstar North and still exclusive to the PS3. In its first and only public unveiling, Tretton said that Agent would “take a player across the globe amidst the shadowy world of espionage and assassins in the darkest hours of the late 1970s”. Aside from the usual PR hyperbole, these would be the only official details ever released about Agent: it was to be an action game (likely with stealth elements), it was a spy-themed period piece set against the end of the Cold War, and it would be developed by Rockstar’s primary developer Rockstar North. This last part was the most interesting. At this point, Rockstar Games had splintered into seven studios around the world and most of these were responsible for games that didn’t have Grand Theft Auto in the title. Rockstar Toronto made The Warriors, Rockstar Vancouver made Bully, Rockstar San Diego made Red Dead Redemption and Midnight Club; while others like Rockstar Lincoln were dedicated to broader roles across the company (quality assurance and localization). With that in mind, Rockstar North developing one of these ‘side games’ was curious – and exciting. The only game that Rockstar North has developed outside the Grand Theft Auto series was the original Manhunt, that odd stealth-horror game set inside a snuff film, so Rockstar North and its founders Sam and Dan Houser taking the reins of a brand-new title was, at the very least, worth watching. Following E3 2009, however, Agent‘s timeline gets spotty. Since Agent was officially unveiled only a few months earlier in June, without gameplay footage, screenshots or details aside from its elevator pitch-sized premise, it’s hard to believe this was anything other than clumsy PR. Another earnings call, another mention from newly-minted CEO Zelnick that Agent was still in active development. During an interview with GT.TV at E3 2011, SCEA CEO Jack Tretton revealed that Agent’s exclusivity to the PlayStation 3 was no longer certain. This was the first hint that Agent could have been released across multiple platforms. The first in-game images of Agent surfaced on a former Rockstar North environmental artist’s online portfolio. As seen above and below, the eight images show a single character (potentially the player character) and various shots of an indoor environment. Aside from its realistic aesthetic and an exotic setting, these screenshots reveal no new details about the game itself. Clearly labelled as being made in 2009, the images could hint at a slowed or troubled production occurring as early as that year. 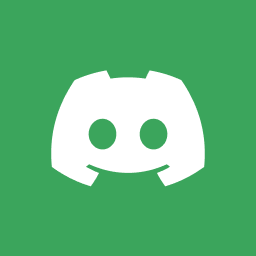 Echoing past statements, Take-Two CEO Strauss Zelnick said that there was no new information regarding the game during the company’s Q1 2013 report and investor call. As of 2012, this was the first public statement on Agent’s development by Rockstar Games or parent company Take-Two Interactive that did not reiterate its active development, hinting that the production process wasn’t going as smoothly as before. Amidst speculation of a reveal of Agent for the PlayStation 4 following the console’s public unveiling, there was no mention of the game. However, Rockstar was listed as a developer to support the console in the future. 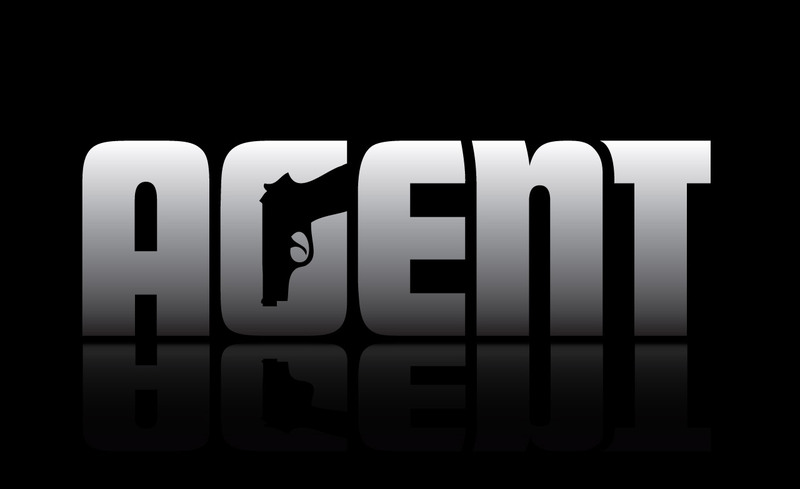 Take-Two Interactive renewed its trademarks for Agent. This included the title itself and the game’s logo (its only official image) – specifically that it has “the shape of a handgun comprising the internal section of the letter ‘G’”. Just in time for the holidays and now six years after its official reveal, new screenshots and artwork found their way online and were subsequently shared on Reddit. These images depict a large town environment with a similar look to the first batch of leaked in-engine images in its realistic art direction and darker, brown-heavy colour palette (very seventh gen). The images show either a level or part of a level comprised of several linear roads and corridors. From the various angles, the level appears to be simple and straightforward, potentially the game’s opening tutorial level. However, without any knowledge on how the game would have played, this is speculation based on Rockstar’s previous releases and overall output. Take-Two Interactive renewed its two trademarks for Agent for the second time. Twitter’s @Bully2Info leaked three pieces of Agent concept art alongside alleged concept art from another long-rumoured Rockstar title, Bully 2. Compared to the previous screenshots and in-engine images that seemed to depict a Middle Eastern or European setting, these instead show a central winding road through a snowy alpine environment. While concept art rarely reflects the final product, the more vibrant and stylised look seen in the images below could suggest that Agent received a significant overhaul at some point, possibly following the release of Grand Theft Auto V in 2013. Finally, Take-Two Interactive decided to not renew its trademarks for Agent, which indirectly confirmed the game’s cancellation (or at least as we know it). Although there’s the chance that Rockstar has simply changed the game’s title as it undergoes an eleventh year of development hell, I wouldn’t hold my breath. Rockstar Games has massively changed its development structure in the years since Agent’s initial announcement in 2007 and reveal in 2009, with this year’s Red Dead Redemption 2 listing its developer as the overarching ‘Rockstar Studios’ and included the participation of each studio. Rockstar producing a smaller period action-stealth game is still possible but as the studio moves away from smaller side projects and Grand Theft Auto Online and Red Dead Online are set to earn all the money that’s ever existed, it’s a tough sell. Rockstar’s Agent saga appears to be over. Vapourware comes and goes but something as big and unknown as Agent is an anomaly. Announced across two different E3 press conferences and then never mentioned again, defined by a logo and an intriguing premise, Agent was a bizarre case. Was it a realistic stealth-sim like Tom Clancy’s Splinter Cell? Something more stylized like Metal Gear Solid? Maybe it was never a stealth game at all and it actually resembled the company’s own Max Payne series? Either way, Agent will always be remembered for at least one thing: as that awkward relic Rockstar desperately wishes we would stop bringing up.